Dear Johanne: Several years ago I attended one of your courses about Heritage Houses. 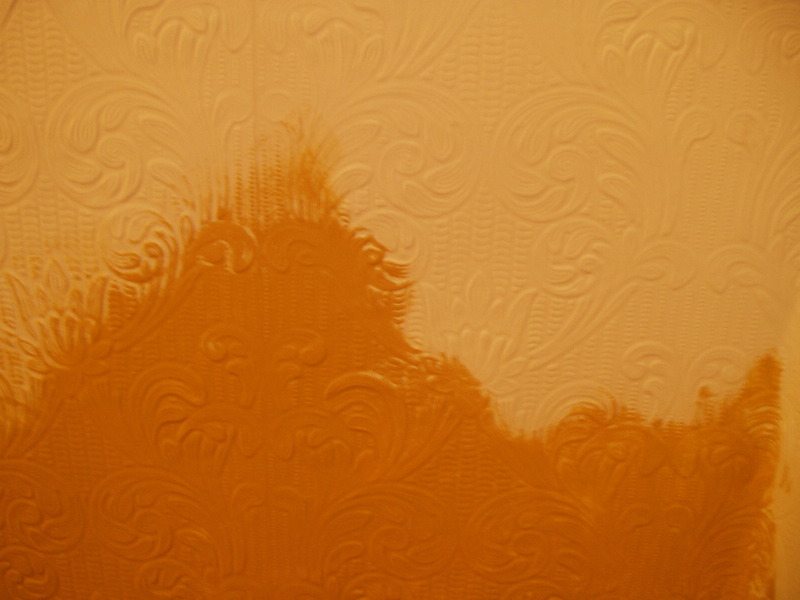 You showed us how you had renovated your bathroom, using paintable wallpaper. It was gorgeous. Was it a difficult product to work with? Some of the reviews that I have read indicated that there were adhesion issues. Was that your experience? 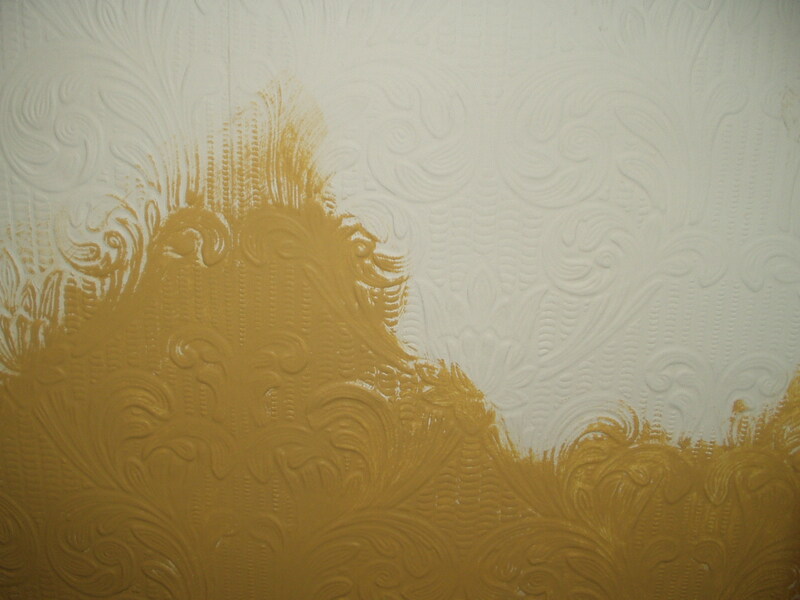 Is it “better” to apply the wallpaper dry, or to use the type with the adhesive on the wet wallpaper? Can I apply this paper over paneling? Hi Karen: The wallpaper I showed the group when I held the class in my home is known as “Anaglypta”. This is a wallpaper that has been around since the late 19th century. It was developed as an alternative to “Lincrusta”, its older brother, because the latter was rigid, heavy and expensive. I have installed Lincrusta wainscotting and friezes and can attest to all three. Made of wood pulp and cotton, Anaglypta was of a lighter weight and much more flexible. True Anaglypta is still being made by the Crown Company in England. This paper is not pre-pasted and it has an embossed raised design. 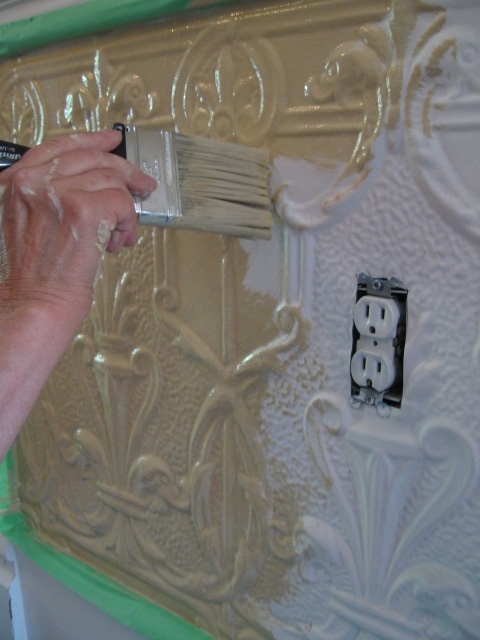 The underside of the wallpaper is hollow where the design is raised on the surface. That is how you can tell you have actual Analglypta. Regarding the adhesion, yes I have had issues with this but it was mostly when I installed the heavier paper. Interestingly enough however, the problem was only in certain areas. It is very difficult to attempt to re-glue any of these sections and I had to resort to using wood glue. Would I use it again? Yes, most definitely. Our bathroom walls were done eight years ago and the Anaglypta is holding up remarkably well. Thanks for the comment, and a very good question too. Glazing is done with a glazing liquid – a base that is colourless. It can be made of oil (dries slower leaving you time to adjust your effects) or water-based which dries fast. Make sure that you know this (read the container) because it will affect the kind of paint you use in combination with the glaze. Without getting into too many details, the idea is to cover your base colour with a thin glaze of another colour. The proportion of glazing liquid to paint (or concentrated pigment) will give you different looks. Test the transparency you want by starting with a 3 to 1 ratio. That means 3 parts glaze to 1 part paint or vice versa. Paint it over your base colour then use a cotton rag to wipe some of the colour off. If you find it’s too transparent, add more paint. If it’s too opaque, add more glazing liquid. Make sure that you use the same recipe throughout your entire project. There are some good books on the market that show you how to do this. It’s possible that you may find a course close to where you live. Good luck! Thank you for the response. I’ll look for more information in the library.